There are many different book scanner apps to choose from. However, there are two main types of book scouting software: local database and live lookup. This post goes over each type so you can pick the best book scouting software, and decide which one is right for you. Local database book scanning software: Typically monthly cost associated with it. Live Lookup book scanning software: Some are free, some have a monthly cost. Bootstrapping your way to success or jumping in head first? You want to make (somewhat) passive income selling used books online and other items on Amazon (FBA) right? You want to make thousands off a small investment of local used books, media, and other inventory? Great – so do I! In fact, I have done so with this business for years! But the next question is are you going to start out on the cheap and make less money? Or are you going to have a little upfront investment to allow you to have more success and profit? If you are just starting out, and money is an issue, you may just want to get a free book scouting app for your phone. This way you won’t have to purchase anything else (like a Bluetooth laser scanner), since you already have a phone. Also, you may not have to pay a monthly fee. With the free book scanner apps, you won’t be able to see the sales rank. The sales rank is a metric that Amazon that provides and it tells us how fast a book (or any other itemIn) will sell. Knowing the sales rank is essential for this type of arbitrage/ used book selling business. If you are serious about making money with this type of used bookselling and retail arbitrage business, I would highly recommend a service that shows pricing data and sales rank. Signing up with a book scanning company that shows pricing data and sales rank, like ASellerTool does is essential because it allows you to make the right purchasing decisions. You want to buy smart, so you don’t waste money with very slow selling inventory. I also highly recommend a service that has a local database option (like A Seller Tool or neatoscan). 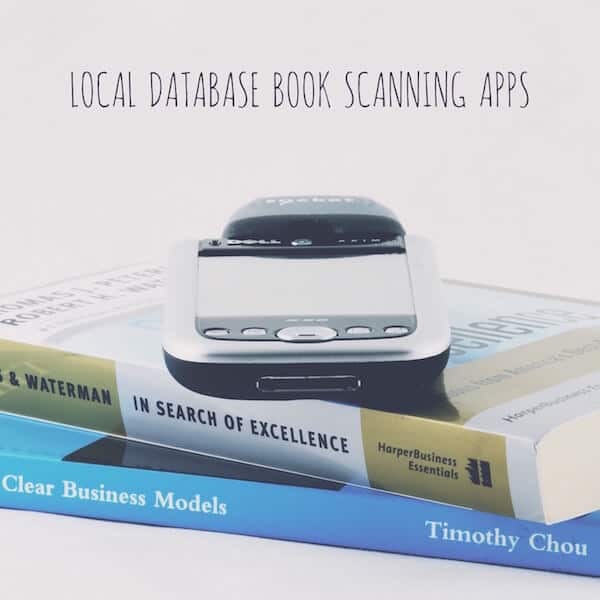 The reason why you want a local database is that it is much quicker to scan your books, media, and other items. An iPhone or android book scanning app will use your Internet connection to retrieve pricing data. This is not only a very slow and inefficient way of scanning, it is also very draining on the battery. When out scouting for profitable inventory, you want to have the fastest device possible, so you can get as many profitable items as quickly as possible. In this business time literally is money (especially at larger friends of the library sales). And you want to make more money, so it only makes sense to get the fastest scanner possible. Signing up with a book scanning company that shows pricing data and sales rank, like ASellerTool does is essential because it allows you to make the right purchasing decisions so you don’t waste money very slow selling inventory. I also highly recommend a service that has a local database option, like A Seller Tool. The reason why you want a local database is that it is much quicker to scan your books, media, and other items when out scouting for profitable inventory. Don’t get intimidated by the cost of getting set up if you are short on money. You will make this money back ten fold as you begin to scout profitable items in your local area. If you are really short on cash and are on a tight budget, you could always use one of the free book scanning apps available for iPhone and Android. Then, you could upgrade later, as you start to make a profit. However, remember that it will be more difficult because you don’t have access to sales rank, which is key. In this case, you could get profit bandit iPhone/ Android app for 10$ a month, which shows sales rank and FBA competition. If however, you have some initial funds to invest in a PDA setup, I’d recommend jumping into that setup right away because you will be much more efficient and profitable in your scouting. My favorite book scaring software for the iPhone is Amazon’s free Amazon that, and profit bandit which cost around $10 a month. My favorite local database book scouting software is ASellerTool. 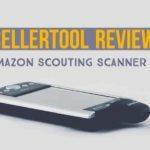 I have used ASellerTool for many years, and this has been my main book scouting software of choice. Thanks for the information.I’m selling books part-time on Amazon.When it comes to sourcing book it really needs some effort and time.I source books which have a good sales rank and sales history for that I have to understand the Keepa graph which is really difficult but last month I found a free statistical search engine for books http://www.amstick.com It easy to understand and saves a lot of time. I’ll have to check it out, thanks for the suggestion! Thanks, Paul for the update. Yeah, it doesn’t appear to be working for me either, looks like its down.